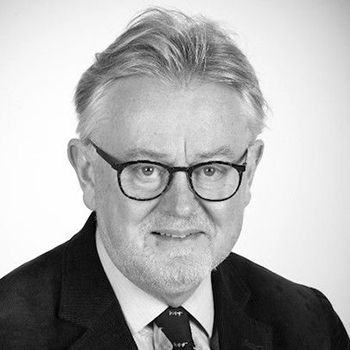 William Schabas, Professor of International Law at Middlesex University, has been chosen to chair an independent, international Commission of Inquiry to investigate violations of international humanitarian and human rights law in Gaza. Professor Schabas, who previously served on the Sierra Leone Truth and Reconciliation Commission and drafted the 2010 report of the Secretary-General on the status of the death penalty, will be joined by two other international experts in the field of human rights. The three will seek to determine what crimes have been committed within the Occupied Palestinian Territory and who is responsible, with a view to bringing the perpetrators to justice and preventing such violations in the future. "Hopefully, this can contribute to more justice and more peace in the region." Since the latest conflict between Israel and Hamas began in July this year, more than 1,900 Palestinians, mostly civilians, and 67 Israelis, mainly soldiers, have been killed. However, a 72-hour ceasefire between the two sides is currently holding, as talks in Cairo, Egypt, to bring a permanent end to the fighting continue. Following its investigation, the Commission of Inquiry will present a written report to the Human Rights Council at its 28th session in March 2015. Commenting on his new appointment, Professor Schabas said: "The Commission will provide a thorough assessment of the allegations of major violations that have taken place, with a view to promoting genuine accountability.